This apartment is in Flint. Nearby parks include Mott Park, Mott Park and Mann Hall Park. 310 Sheffield Ave has a Walk Score of 46 out of 100. This location is a Car-Dependent neighborhood so most errands require a car. 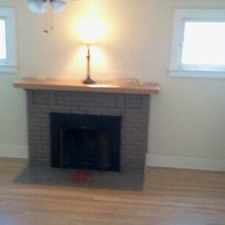 Two story Condo with 2 bedrooms and 1 bath, with basement. This Condo has many updated features including new finished hardwood floors, remodeled kitchen & bathroom. New central air unit, new ceiling fans in bedrooms. Explore how far you can travel by car, bus, bike and foot from 310 Sheffield Ave.
310 Sheffield Ave has some transit which means a few nearby public transportation options. 310 Sheffield Ave is in the city of Flint, MI. Flint has an average Walk Score of 43 and has 102,434 residents.